Whisk eggs in a bowl. Add salt, pepper, cheese, grated carrot, grated zucchini, sliced green onion, and a splash of sriracha. Pour mixture into waffle iron and leave to cook until light goes off (or follow manufacturers instructions). 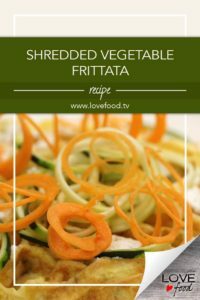 While frittata is cooking, spiralize vegetables. 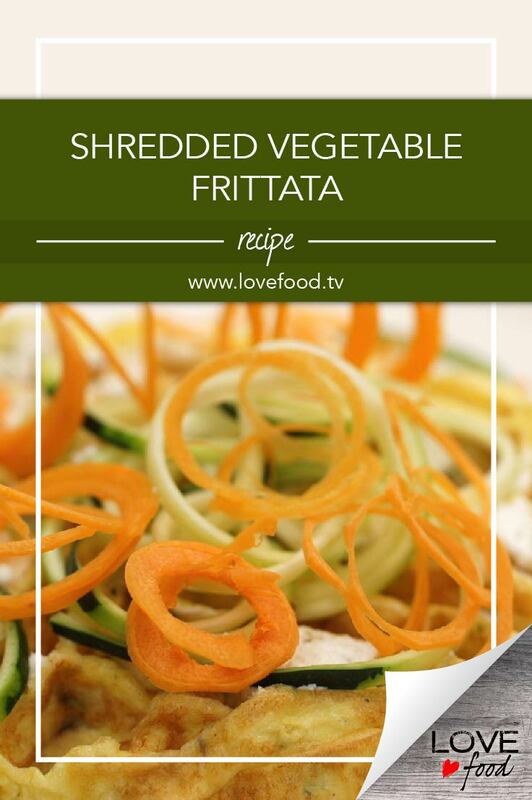 If you don’t have a spiralizer, thinly slice vegetables, or peel into ribbons with a horizontal vegetable peeler. Plate frittata and top with a little goat cheese and garnish with ribbons of vegetables. Serves 1 – each ‘waffle’ has three eggs and can be shared, but there will be extra vegetables for more ‘waffles’.